Maise felt a chill as the stillness of the cemetery seeped through her clothing and touched her skin. Yet the shiver was familiar to Maisie, who had felt the sensation even in warm weather when there was no cooling breeze. She had come to recognize this spark of energy passing across her skin as a warning. 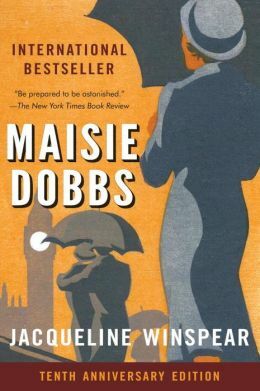 The re-release of Maisie Dobbs proved a delightful introduction to Jacqueline Winspear’s British mystery series. Maisie is a top-notch spunky lady who has enjoyed the patronage of a wealthy benefactor, Lady Rowan Compton. Rather than a lucky happenstance, Maisie’s elevation from a lowly household servant to brilliant psychologist/detective is the result of her hard work and dedication to learning. 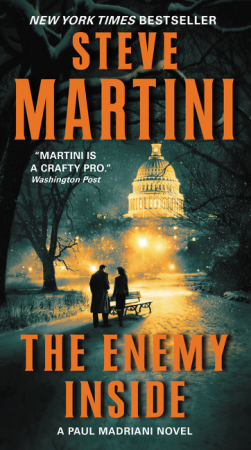 The time period is World War I, a favorite of many English mystery writers. What sets this one apart is the easy dialogue and charming characters. Maisie is going out on her own as an investigator after apprenticing with Maurice Blanche, a seasoned investigator. Her first case is a referral from Lady Compton’s attorney. A gentleman suspects his wife of being unfaithful and Maisie’s task is to determine whether the wife’s clandestine activities are a signal of marital trouble. Maisie Dobbs is likeable without being too sweet or snarky. The book is a satisfying read. The trade paper book includes background on the author’s series and a list of reader study questions for book clubs. Verlaque said, “It’s a good idea, Clement. This is a beautiful place, from what I’ve seen so far. You’ll make back your investment.” Verlaque took another sip of wiskey; he knew all to well how risky the hotel and restaurant business was. And this one was on a remote island. Now, there’s a change of scenery from London to France. The time is present day and the sleuths are two well-educated and highly placed legal professionals. 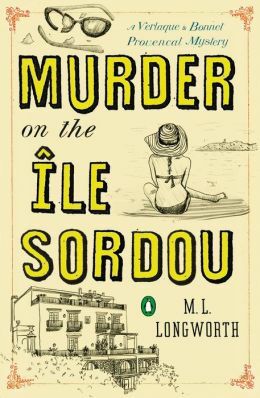 Chief Magistrate Antoine Verlaque and his paramour law professor Marine Bonnet are embarking on their fourth adventure in Ms. Longworth’s series featuring the couple. Fans of Agatha Christie will notice her familiar style immediately. Longworth fashions her mystery using the gracious, unhurried approach and meticulous attention to detail that Christie readers expect. Verlaque and Bonnet are on a summer vacation at a newly constructed/recreated 1960’s destination hotel situated on an island off the coast of Marseille. Their fellow vacationers include an old school chum of Verlaque and his wife, Ms. Bonnet’s best friend, a retired schoolteacher, a has-been French actor, his wife and stepson, and an American couple. Each of these characters, along with the hotel owners and staff are revealed with in-depth background information that the reader needs to use to solve the mystery. 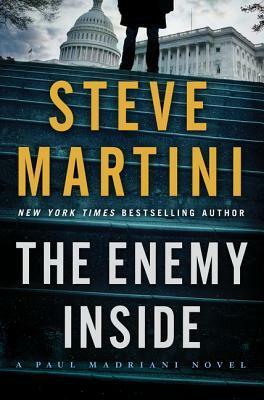 The crime is committed well into the book, which highlights the nature of the tale – one that requires patience and careful attention to achieve a full enjoyment of the read. Ms. Longworth has a background that includes knowledge of French food and wine. She blends in her favorites in a way that feels charming rather than ostentatious. Although the Ile Sordou is fiction, the rest of the atmosphere is real. Review copies were received from the publishers. 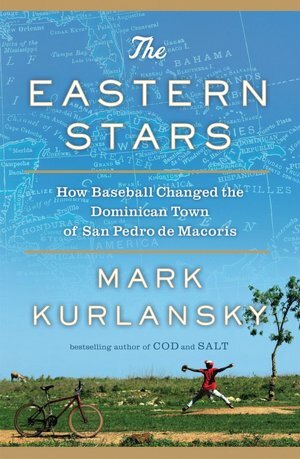 The Eastern Stars, subtitled How Baseball Changed the Dominican Town of San Pedro de Macoris, by Mark Kurlansky, chronicles the evolution of baseball in this town, the island in general, and – in some cases – the surrounding Caribbean islands. At its conclusion, the book has a listing of the first 79 players from San Pedro de Macoris that made it into the U.S./Canadian major leagues. Many readers will likely assume this book has more baseball content and less history, and from the middle toward the end, baseball plays a more prominent role in the story. The beginning of the book is a long history lesson, which may prove to be quite frustrating for some readers. The most interesting parts of the book are the tales of how the local men who did succeed in playing major league baseball viewed their hometown. The decisions they made during and after their careers relating to how they supported the needs of their families and brethren had outcomes ranging from remarkable generosity to outright dismissal. Extreme poverty is the one common denominator affecting all. The subjects of steroids, scouts, and how MLB organizations handled their affairs in Latin America also permeate throughout. The book dances between trying to satisfy the history buffs and the baseball fans and, thus, falls short in both areas. However, it does add up to a satisfying story, especially after it manages to leave the ground. Recommended. A review copy was provided by the publisher. Mark Kurlansky is also the author of the nonfiction books Cod and Salt.